Discount car rental from the following rent a car companies at Montpellier Airport France Hertz, Avis, Alamo, Budget Dollar, National Sixt, Thrifty Europcar. The car rental desks are situated outside the terminal building, opposite the Business Centre. Having collected your car hire at Montpellier Airport Car Hire or downtown in Montpellier explore Montpellier and the surrounding areas, and why not use the Montpellier City Card which allows discounts when visiting some of the cultural sights ranging from 12 Euro for 24hr access, 48 hour costs 19 Euro and 72 hour is priced at 25 Euro. 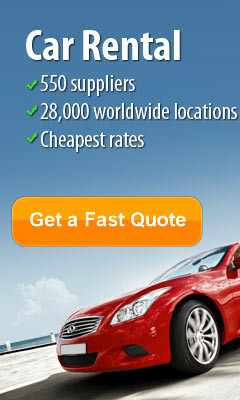 Choose your vehicle from our vast car hire selection to get you around the city in style and comfort. Hug the coastal roads from Montpellier, with overnight stays in Arles and Marseilles, to enjoy some of the most beautiful sea views in France. Visit the enchanting Aigues-Mortes walled village on the sea, then head through the protected Carmagues wetlands to view the 400 species of birds, endless trails of sea lavender, the Carmague bull and equally famous wild white horses. Take note of the stunning vineyards en route to Arles and make a stop-off for some excellent souvenirs or gifts. In Arles, book yourself in for an overnight stay and visit the amphitheatre, Museum of Antiquity and countless restaurants. From Montpellier, drive towards the northeast to visit the Arena in Nîmes before continuing on towards Avignon for an overnight stop. On the way, stop at the Pont du Gard, an excellent example of an Ancient Roman aqueduct bridge. A stroll here is the perfect antidote to a day's driving, and well worth stopping for. La Maison Blanche, 1796 avenue de la Pompignane , Montpellier, 34000 White ship in a green oasis, La Maison Blanche stands gracefully at 5 minutes from historical centre, 10 minutes from the airport and 15 minutes from the beaches. Its restaurant Le Mas des Sablons will delight all your senses by the fire place in winter, under the Linden trees in summer. Hôtel d'Aragon, 10, rue Baudin , Montpellier, 34000 Charming Boutique Hotel entirely renovated. A warm environment and a sophisticated atmosphere await you. The Hotel is located 2 minutes, walking from the Place de la Comédie, near the SNCF train station, the Corum and the Fabre Museum. Haven of elegance, French charm and peace. 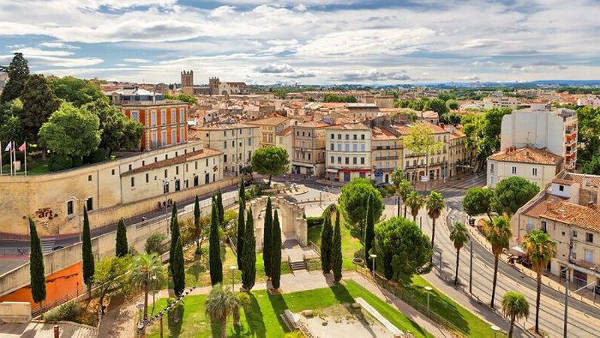 Situated in the heart of Montpellier, it is an ideal base for those who wish to discover one of the most beautiful French cities, visit the region or be at the centre of artistic, cultural or economic events. Non-smoking hotel. Pullman Montpellier Antigone, 1, rue des Pertuisanes, 34000 Montpellier Located in the city centre, near the famous Place de la Comédie, the hotel is just 15 minutes from the Mediterranean coast and 10 kilometres from the international airport. All of the guestrooms feature a unique décor and cosy accommodation. They are spacious, comfortable and offer a panoramic view of the surrounding area. Whether you are visiting the hotel for business or pleasure, you will appreciate access to the latest in communication technology including Wi-Fi internet access available throughout the entire hotel. Pullman Montpellier Antigone features a restaurant and 2 bars. The Ciel d’Azur features regional cuisine served in the dining room, by the swimming pool or on the panoramic terrace. Newhotel du Midi sits on Place de la Comédie in the city centre of Montpellier, opposite the Opera house. Its rooms are individually decorated and have satellite TV. The rooms also have private bath or shower, air-conditioning and a work desk. Some rooms have been decorated to create a romantic ambiance. Breakfast is served each morning from 07:00 to 12:00 in the hotel's breakfast room. Wi-Fi internet access is available, free of charge, in the Newhotel du Midi’s lobby. It is available in the rooms at an additional charge. New Hotel du Midi benefits from an ideal location in Montpellier. It is only 40 minutes from the beaches and only a 5-minute walk to the train station. And a short car trip will get you to the Montpellier airport.